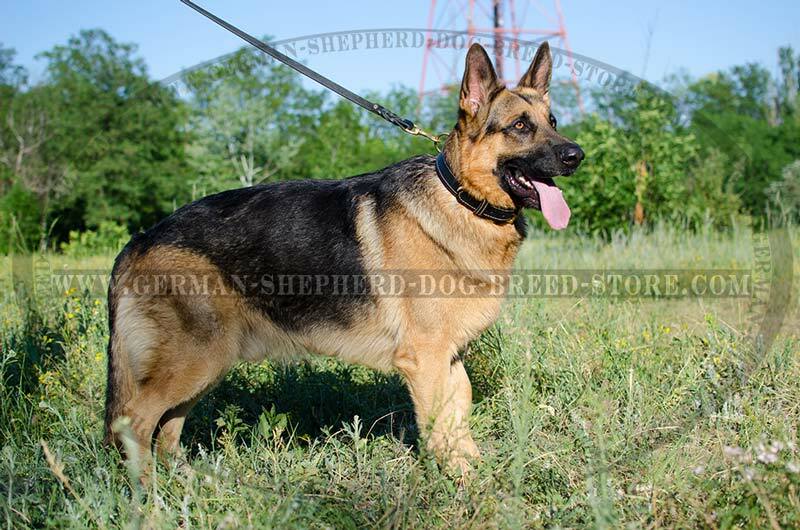 It is easy to get confused with such a variety of dog collars presented in the Internet. We want you to make the right decision. 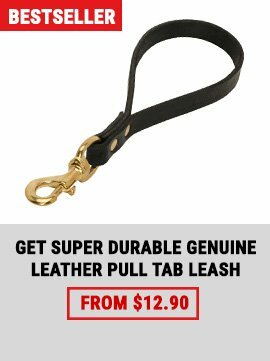 Choose our web site for on-line dog stuff shopping 'cause we provide quality instant service, top notch products and good treatment of our customers. We are ready to help you with choosing best collar for your dog and we are always happy to answer any questions you have concerning our products. 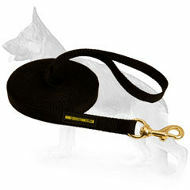 We want you to have a look at this Nappa Hand Made Leather Dog Collar. 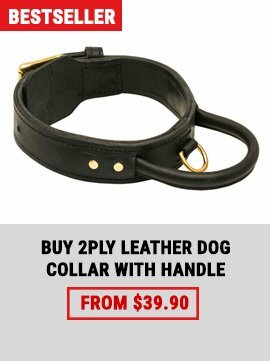 Maybe this very collar will become your dog's favorite one. Full grain pure leather. 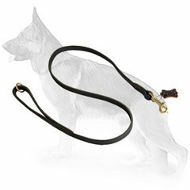 Your dog definitely deserves quality product to wear on its neck. 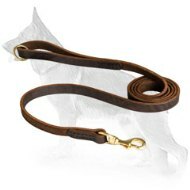 This leather is soft and thoroughly stitched to prevent collar from ripping. 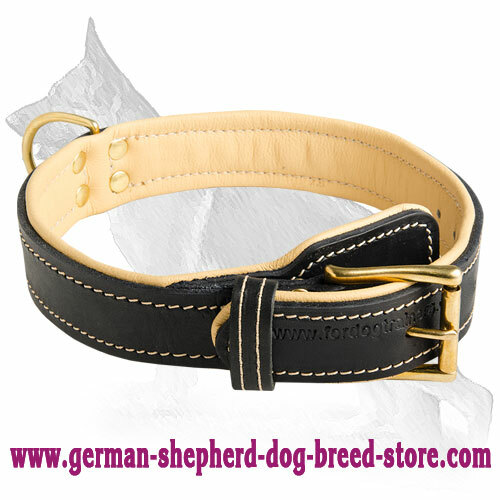 It is stronger and more durable than ordinary collar due to its inner ply of nappa leather. Nappa leather is a full-grain leather, usually dyed, made from unsplit lamb- or sheep-skin. The newest techniques are used while processing this leather. 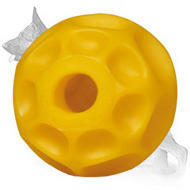 It is noted for softness and durability. It is often used for high-quality products. Nappa leather makes any product more valuable on the market. 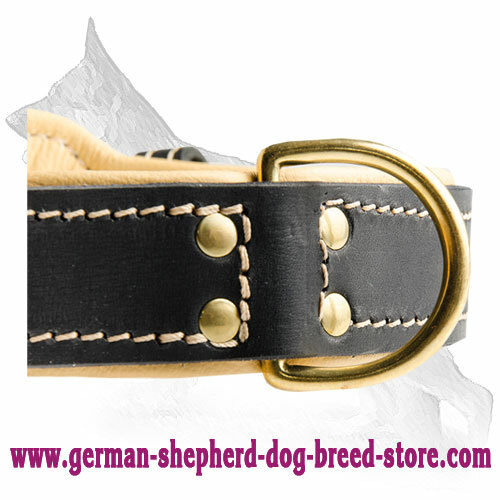 Your dog will be lucky to wear such a beautiful and quality collar. Another advantage is collar's adjustment. One and the same dog can't be in the same shape and of the same size. 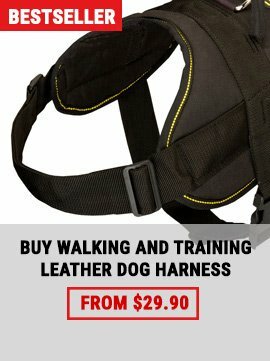 It happens that a dog can gain or loose weight, or simply grows if it is a puppy, so you may adjust this collar the way your dog needs it. 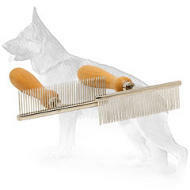 Every dog is beautiful in its own way and it is a pity when low-quality collars damage dog's fur. 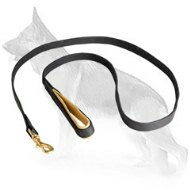 Our collars don't do that because our designers equipped this collar with fur protection plate that will prevent fur damaging. This leather collar quality in all respects. Brass rivets are hand set and they secure the firm brass buckle and D-ring. 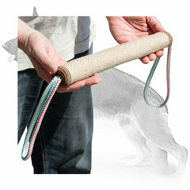 D-ring is designed for tags and leashes.